The Tracy Hoffman Memorial Run for Leukemia will be on April 28th this year in Salem. 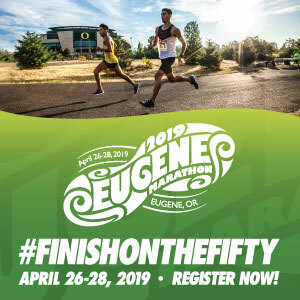 You’ll have the option of running the 1 Mile Fun Run, (a recreational run/walk,) the 1 Mile Dash (which is a competitive run,) or the 5k Run/Walk. This will be a very family-friendly event to honor Tracy Hoffman, a member of Willamette University’s Kappa Sigma Fraternity who was cured of Hodgkin’s Lymphoma only to be diagnosed with leukemia which ultimately took his life. 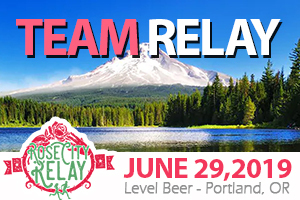 This race is free to enter, though donations are encouraged, as all the proceeds from this fundraiser event will go to the Oregon chapter of the Leukemia & Lymphoma Society. This organization is focused on finding cures and supporting the families of those affected by blood cancers. The goal is to raise $25,000 so come on out and buy a te-shirt while you are at it! 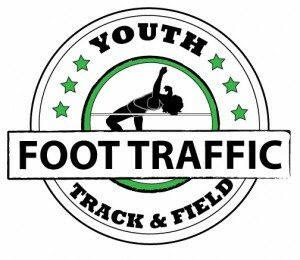 The race will be a blast, with music and food to follow. The entertainment schedule will be announced soon, so feel free to check out the Facebook page. Come do this one with friends, family, and co-workers. The more the merrier and you can create a team for a discount! Another fun run on April 28th to consider is the 2018 Diabuddies Dash in Keizer, OR. The proceeds from this fundraiser run will help support the Chris Dudley Basketball Camp. This race will also be a very family-friendly run where you can create your own team of walkers/runners. Groups of 10 or more will receive a group discount! Running posters and media packets will be available for you to share in your community to help build your team. You have the option of doing the 5k or the 10k race, and all races must be complete by 11:00AM. If you can’t make it out to Keizer on race day, you could do the Virtual Diabuddies Dash any time between April 15th and May 15th. Read more about that here. 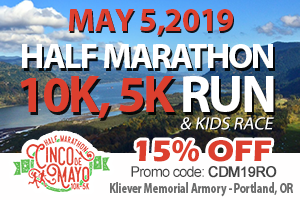 The roads on the route will not be closed to traffic on race day, so please be mindful of traffic laws and stay on sidewalks and allotted space for the run. No dogs will be allowed on the course, and headphone use will be limited to one ear for everyone’s safety. Strollers are allowed at your own risk! All participants will get a Diabuddies Dash t-shirt as well as a swag bag with their entry. Register before the prices increase on 3/1/18!